Did the internet just rename an animal? A few weeks ago, I saw a trench of photos on facebook that was posted with comical names for animals. Most of them were unbelievably silly, like calling a skunk a “fart squirrel” and a ferret a “cat snake” (a name that is already being used, I should mention!). It fits. A raccoon looks an awful lot like a red panda. A red panda is not actually a procyonid (the raccoon family). It’s actually the last survivor of Ailuridae family, but it looks so much like a raccoon that it was often thought of as the only procyonid native to the New World. And if the red panda is a procyonid, then so is the giant panda. They both have the sesamoid “thumb,” but we now know that this adaptation evolved separately in the two lineage. Giant pandas are bears. Red pandas aren’t specialized raccoons. But I didn’t think anything would be made of this name until I just Googled it. 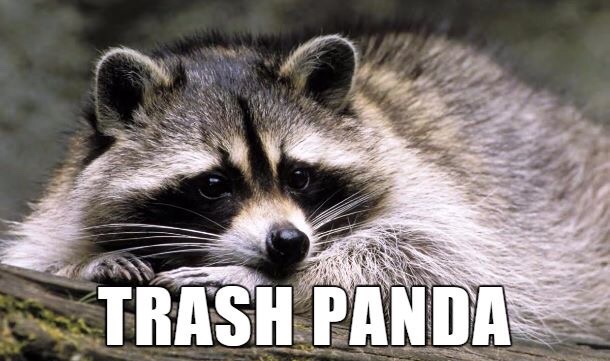 This is the new name for the northern raccoon! This isn’t the first time this has happened. Some prankster Wikipedia editor once gave “Brazilian aardvark” as an alternative name for the coati, and that name is still being used, even though no one ever used that name for them until the Wikipedia edit! The effect that the internet is having upon our language is really fascinating. Maybe my attempts to get people to stop using the term “gray fox” for the Urocyon will have an effect. Please stick with “gray fox”, the term is much more functional. The word “fox” conjures up an image in peoples’ heads while the word “Urocyon” leaves most people scratching it. Calling the “gray fox” a “Urocyon” is like calling “humans” a bunch of “Homos”. The reason why is that it’s not a true fox. Also chilla foxes are called “gray foxes” or “South American gray foxes.” This is problematic because Urocyon is found in South America as well. It’s better they be given another name. The colonial/frontier name for them was colishay in this region. I’ve even toyed with calling them “Virginia dogs,” because they were first documented at Jamestown by John Smith (as were northern raccoons). It’s also a very silly name. Most wild dogs are gray. Almost all true foxes are gray. The only reason it’s called a gray fox is that the other fox in this area is red. It gets incredibly confusing in places like California or Arizona where you have gray kit foxes and Urocyon (and people routinely confuse the two!). If you are talking about academics using urocyon that’s one thing, they always include the scientific name anyway. If you are talking about members of the public adopting the word urocyon then don’t hold your breath, they can’t tell one species from another anyway. Some of these people think a black bear walking upright is bigfoot. What about the words “rat”, “mouse”, and “deer”. They are used for numerous genera and species, not just members of the genus Rattus, Mus, or Cervus. Speaking of wildcats and different names for given species and subspecies, I’ve heard that Near Eastern wildcats are also called Desert cats, Central Asian wildcats are called Steppe cats, and European wildcats are called Forest cats. I’m not sure those other names for the wildcat subspecies derive from the Internet or are Internet renamings, but a given species or subspecies can accumulate more than one common name. To apply the same logic of naming the different subspecies of wildcat according to biome types, the Southern African wildcat and the Chinese Mountain cat would be called the Bush cat and the Mountain cat respectively. Calling the Southern African wildcat the Savanna cat would confuse it with a serval/domestic cat hybrid cat breed. I would think something along the line of ‘bush-dog’ or ‘tree-dog’ would be more likely to catch on.